Today, there are many fad diets that have varying degrees of success. From dietary systems like the paleo diet to the cabbage soup diet, there are a plethora of dietary choices that you can make that can possibly cause you to lose weight. Recently, there’s been a lot of buzz about what seems to be a very effective weight loss plan; the Ketogenic diet. We’ve all tried diets in our time and some of them have failed while others have worked. However, there is no diet around right now that doesn’t have the health benefits of the ketogenic diet, often referred to as the keto diet. The keto diet claims to help tremendously with weight loss and many people find that they shed excess pounds faster and with less effort while on the keto diet than any other diet they have tried in the past. Many also claim that the keto diet affects their health in a positive way, improving digestion, asthma symptoms, energy levels and increased mental focus. The Ketogenic diet absolutely depends on the bodily state of ketosis. In the standard biological process sugar or carbohydrates are stored as fat in order to be used as energy later. When you’re consistently eating food rich in carbohydrates, your body produces glucose for energy and this serves as the go-to source for powering your body’s processes. In times when food is scarce, carbs are harder to find, so your body goes into the aforementioned ketosis state, and your body starts to break down the stored glucose (fat). The ketogenic diet is a diet that is designed to help break down stored fat by fooling your body into going into a state of ketosis. This requires a very carbohydrate scarce dietary intake. 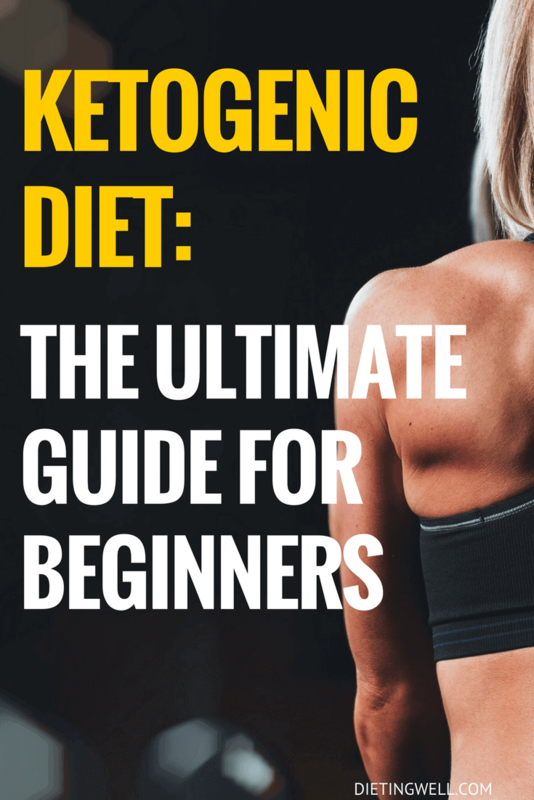 While some people find ketogenic diets to be quite a change from what they are accustomed to eating, even dramatically different, it needs to be realized that it also has other benefits. Many people find that it is beneficial in losing weight rather quickly. Part of this reason is because when your body starts converting fat into energy, that you will lose your cravings for sugar. There also are no known side effects of the diet. On the other hand, chances are good that you may have heard of the side effects of chemotherapy and radiation treatments. – Standard ketogenic diet – This is a very low-carbohydrate diet with moderate consumption of protein and high consumption of fat. It typically contains 75% fat, 20% protein, and 5% carbohydrate. – Cyclical ketogenic diet – This version of the diet goes in cycles. For example, you might have five ketogenic days followed by 2 high-carb days. – Targeted ketogenic diet – This version of the diet allows you to increase carb consumption around workouts. – High-protein ketogenic diet – In this version, there is a higher proportion of protein. The ratio is usually 60% fat, 35% protein, and 5% carbohydrate. Unless you are an athlete or bodybuilder, then it is recommended that you follow the standard ketogenic diet for best results. The advantage of following a ketogenic diet is that it is a relatively painless way to lose weight. You can get your satiety from the consumption of fat and a moderate level of protein. The truth is that most diets that people follow are short-term programs that are highly unnatural. The ketogenic diet is a sensible alternative to starvation diets. The idea of a ketogenic diet was first introduced in the 1920’s. At that time, there was a patient who had epilepsy that was not responding to the normal medications. It worked, and now ketogenic diets are often used in the treatment of epilepsy, and more medical centers are starting to use it. Even before that, however, in 1924, researchers discovered that when a diet is rich in carbohydrates that tumor growth is enhanced. Earlier than that, in 1885, a connection was seen between the appearance of tumors and the sudden development of hyperglycemia. On a keto diet, people are told to keep their daily carb limit under 100 grams. The amount your body needs to enter a state of ketosis is dependent on your age, weight and height. You can use a ketone stick or blood ketone meter to detect whether or not you’re in a state of ketosis. You can either use the high-to-low method, where you start out with a high amount of carbs and lower it until your body enters the proper state, or you can use the low-to-high method where you start out with a small amount of carbs and gradually increase the a point where you’re still in ketosis but can increase the amount of carbohydrates you’re consuming. When your body is in a state of ketosis, it effectively uses fat as a fuel source. When you consume a lot of carbs, this turns into sugar in the body which causes you to produce glucose and insulin. Glucose is the easiest molecule in the human body to be broken down for fuel, so your body will automatically use sugars from the carbs that you eat as a fuel source before going to fat stores. When you eliminate carbs, you reduce the amount of glucose in your body that will eventually be stored as fat if not burned off every day. In this day and age with the typical Western diet, most people’s bodies run on glucose because of the types of foods we’re consuming. For those on a keto diet, the body naturally goes to fat as a fuel source and burns it off effectively and easily, leaving you thinner, trimmer and feeling better than you ever have in the past. There are literally dozens of benefits to following a ketogenic diet. The most prominent benefit is weight loss because the diet is incredibly effective at burning away fat that gets stored the more carbs you eat and don’t exercise off. Another benefit is a stable and more positive mood. When you eat an excess amount of carbs, the sugar that you’re consuming can cause an increase and decrease in your blood sugar, which in turn causes mood swings, irritability, tiredness and dizziness. Many also claim that the keto diet can help with asthma, epilepsy, autism, mental focus, clearer skin, less inflammation of joints, lowers blood pressure, decreases bad cholesterol and has even been thought to fight some types of cancers. While most people transition quite easy when going from a high-carb diet to a low-carb one, there are some who experience side effects when first making the change. The keto flu is the term coined when a person’s body goes from burning glucose as fuel to burning fat. Some of the symptoms could include dizziness, sugar cravings, irritability, poor focus, cramping and insomnia. Keep in mind that all of these symptoms are temporary and are simply a sign that your body is adjusting from an unhealthy one that uses sugar as fuel to a healthy one that will whittle away that waist as a way to keep itself energetic and vibrant. As with any and all diets, speak with a doctor before you start the process to be sure that the keto diet is a viable option for you. If you’re on blood pressure medication or antidepressant, be sure to get the okay from your doctor before changing the way that you eat. – Low-carb vegetables – green vegetables, tomatoes, onions, peppers, etc. You can use salt, pepper, and herbs and spices as condiments. The best foods for a ketogenic diet are those which are natural. This includes the fats involved in the diet. You want to stay away from any kind of man-made fat, such as transfats, and eat natural ones, like those found in nuts, olive oil, and avocados. People have been somewhat misled about fats, such as cholesterol. The problem is not actually with cholesterol, it is with inflammation, which is the cause behind so many diseases. Foods that have the bad kind of fats in them have been found to encourage a recurrence of cancer of the breast, but oil from fish can prevent it. An advantage of the ketogenic diet is that everything you need for it can be found locally. You just need to go to the grocery store and you’ll find all you need. A ketogenic diet can be beneficial for people with type 2 diabetes. They can only go on the diet if they adjust their intake of insulin. You should consult with your doctor if you are diabetic and you wish to go on a ketogenic diet. There are studies that suggest that the ketogenic diet may starve cancer cells. It is thought that a diet that is high in sugar might cause the proliferation of cancer cells. It is believed that cancer cells cannot use fat rather than glucose. Therefore, a diet that eliminates processed carbohydrates may be effective in fighting cancer. Even though the ketogenic diet is high in fat, the fats that are recommended are not trans-fats. They are healthy fats, like those contained in olive oil, nuts, and fatty fish. Low-carb diets can help lower risks for obesity and heart disease. In the first week of a ketogenic diet, you might experience a few side effects. These side effects include headache, lethargy, irritability, leg cramps, constipation, and heart palpitations. The side effects are not usually serious, and they will abate rapidly. You can avoid many of them by getting enough fluid and salt. What Are Macros and How to Calculate Them? Keto Substitutes: What Can I Substitute For….? 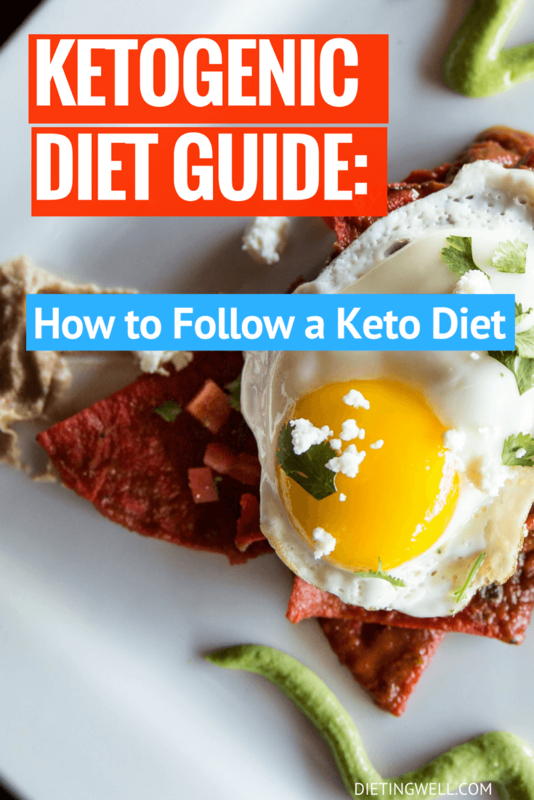 I will keep updating this keto diet guide with various tips and useful posts as they come in. P.S. Have a look at the Keto Guidebook, our foolproof 4-week keto meal plan. It has all the tools, information, and recipes needed for you to succeed.